Create a photo booth utilising the gear you already own. With this kit you can mount a monitor and camera to a C-stand or light stand, utilising the standard 5/8″ (16mm) baby stud or to a tripod. This is the perfect photo booth kit for events, weddings or parties. 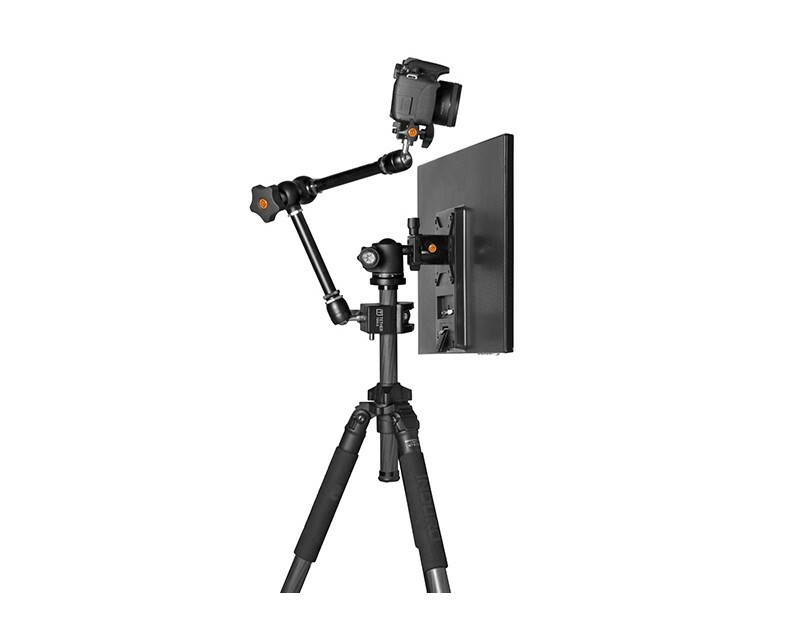 The Rock Solid PhotoBooth Kit for Stands and Tripods is a modular booth setup designed to utilize existing equipment that a photographer may already own. Designed with professional and amateur photographers in mind, our photo booths set up easy, travel light, and won’t break the bank. For monitors with a VESA pattern larger than 75x75mm or 100x100mm, the Rock Solid VESA Adapter Plates 200x200mm and 400x200mm are recommended. For larger monitors with VESA patterns larger than 200×200mm, 400x200mm, the Rock Solid VESA Plate Extensions have been created to meet just about any monitor’s specifications.